﻿ What is a Cash Mob and How to Make Yours a Success » Red Mango Marketing! Looking for a new way to encourage your community to shop small? Want to raise awareness about the importance of supporting local businesses? 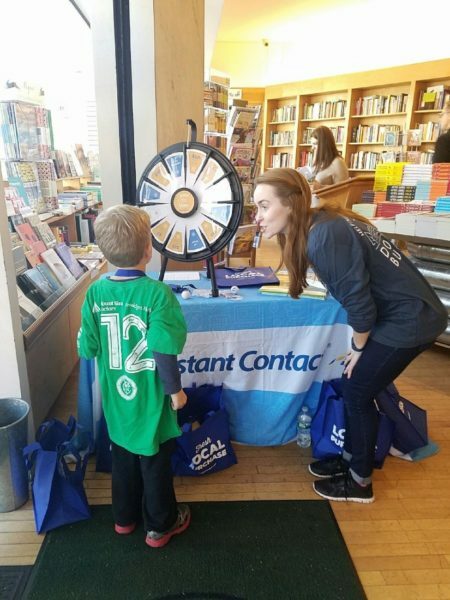 A cash mob is the perfect way to rally your community, create excitement, and drive sales. Do you live in the Boston area? Join us for our final cash mob of the season at KitchenWares on Saturday, December 3rd. Through hosting these events, we learned the ins and outs of running a successful cash mob. Read on for an overview of how to organize and promote a cash mob of your own. Inspired by “flash mobs,” a cash mob occurs when a group of people assembles to make purchases in support of local businesses and the overall community. Highlights from our cash mob at Goodies Etc. 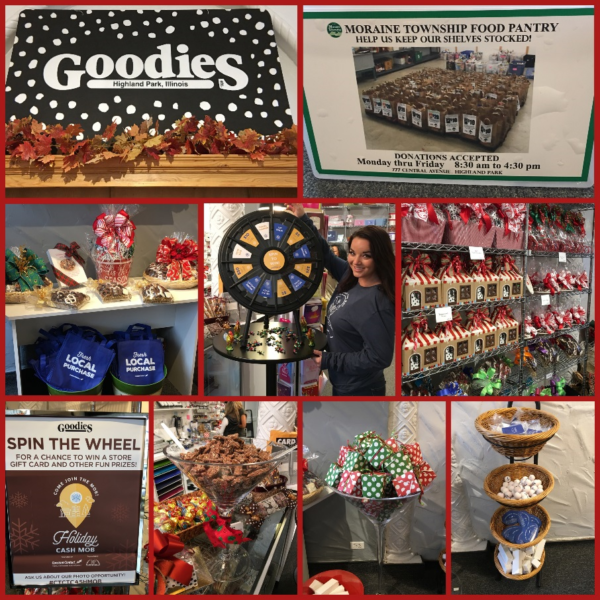 Rather than waiting for consumers to choose your business as a cash mob location, you can plan and organize your own event and entice shoppers to visit your business. Start by settling the basic event logistics: where will your event be held? At what date and time? Then, to really draw a crowd, focus on three important steps: your cash mob incentives, local partnerships, and event promotion. Incentivize people to come to your event by offering exclusive discounts, small prizes (such as free gift wrapping or tote bags), or an onsite activity. 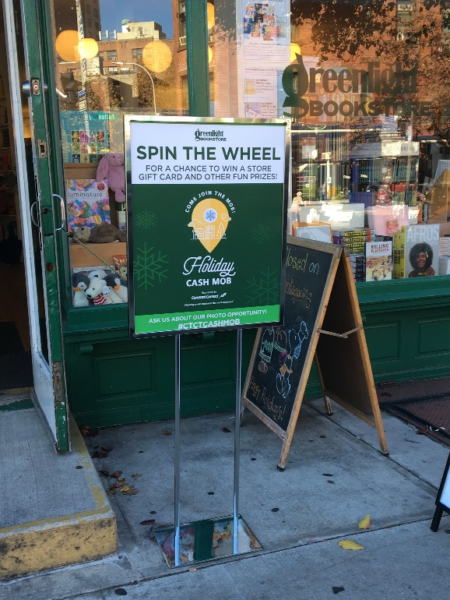 During our cash mob at Greenlight Bookstore, we set up a prize wheel to give people a chance to win small $5 or $10 discounts. Increase the impact of your event by making your cash mob a true community effort. Team up with other local businesses or the Chamber of Commerce to get the word out to a larger group. You can also team up with a local nonprofit to spread goodwill and give back. During our cash mob at Portland Saturday Market, we partnered with 200 small businesses and individual artists. We also encouraged people to support the Oregon Food Bank by bringing a canned good for donation. Teaming up with other local businesses and organizations allows you to combine networks and reach a larger audience. Our Portland event received more RSVPs than any of our events hosted at single businesses. Build excitement for your event by getting the word out through email marketing and social media. Send your email list an announcement email a couple weeks before the event. Follow up with a reminder when the event is about a week away, then a last chance email the day before the event. Link to a registration page where your subscribers can RSVP. With Constant Contact, you can even add a block that lets people RSVP directly in your email. If you’re on social media, be sure to promote your event there, as well. You can create a Facebook Event and post eye-catching images across your social media channels. Tip: Use these tools to create effective images of your own. During the event, make sure to snap some photos to share on social media or in your next email newsletter. You can even take a short Facebook Live video to speak with a few event attendees and entice some last-minute stragglers to join in on the fun. Here are some tips for using Facebook Live. Lastly, don’t underestimate setting up an attention-grabbing sign as a way to attract people who happen to be passing by. In addition to making signs with your event details, create signs with your Text-to-Join information so people can easily sign up for your email list from their mobile phones. Tip: Watch this video to learn how to use our free Text-to-Join tool to grow your list. 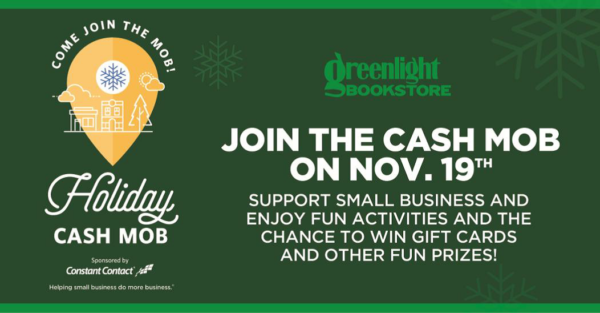 Ready to plan your cash mob? 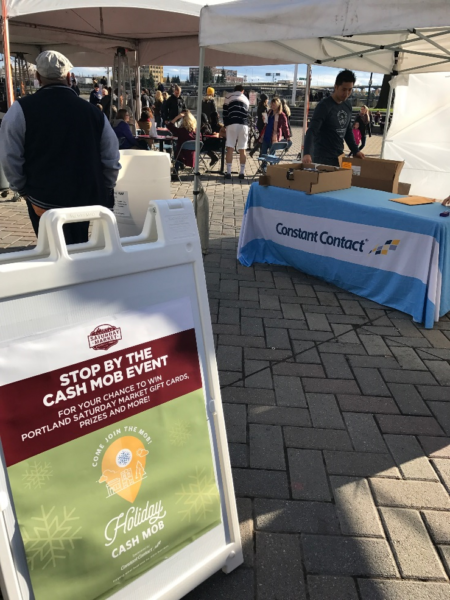 If you’re looking to try something new at your small business, a cash mob is a great way to have some fun with your community and drive sales. Will you be in the Boston area this Saturday, December 3rd? See a cash mob in action by joining us at KitchenWares. Hope to see you there! 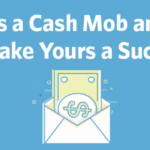 The post What is a Cash Mob and How to Make Yours a Success appeared first on Constant Contact Blogs. This entry was posted on Wednesday, November 30th, 2016 at 1:00 pm	and is filed under Business Tips, Fresh Insights, News & Updates, small business marketing, Small business tips. You can follow any responses to this entry through the RSS 2.0 feed. Both comments and pings are currently closed.